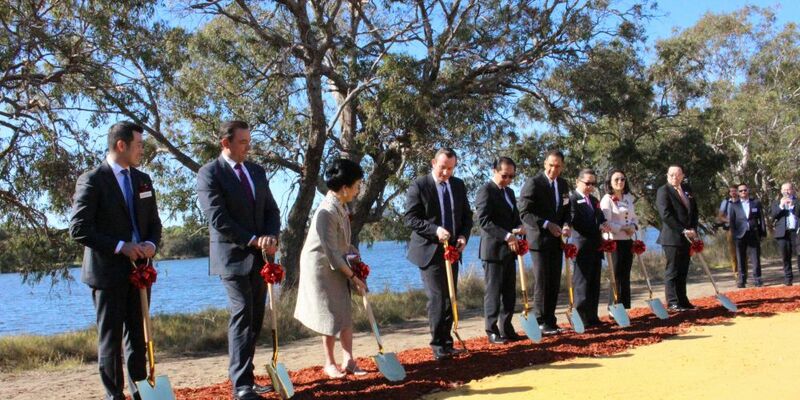 Premier Mark McGowan joins in the sod-turning ceremony. 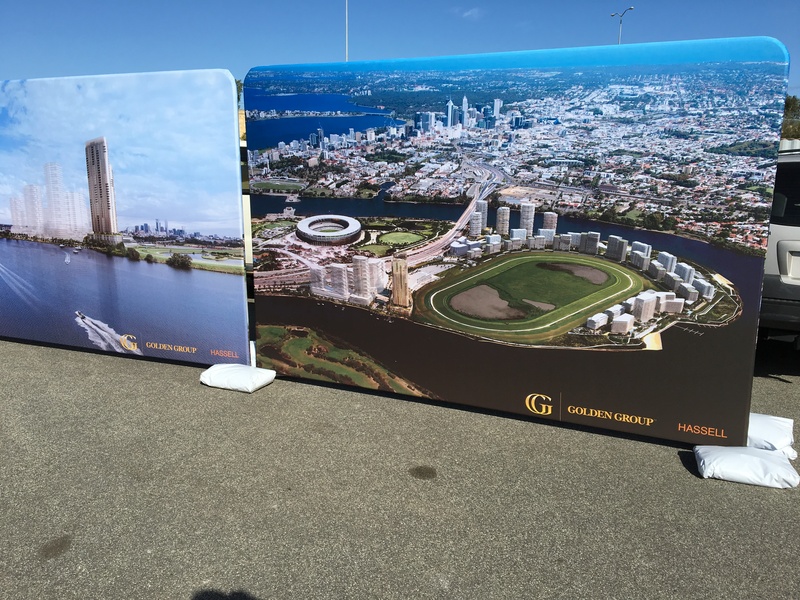 THE first stage of the redevelopment of Belmont Park Racecourse is beginning with developers Golden Group putting $3.8 billion into the project. The initial stage of the project will see 1500 new apartments being built and will include 6000sq m of retail space and 20,000sq m of commercial space completed by 2020. A sod-turning ceremony was attended by Premier Mark McGowan and other dignitaries today at the site, which is claimed to be WA largest high-density planned community. Golden Group managing director Andrew Sugiaputra said the final stages of the 20-year project would see 4500 residential apartments being built. “This development will be unlike anywhere else in WA,” he said. “The Burswood Peninsula is fast becoming Perth’s premium destination for events and this development will only add to that. An artist’s impression of the redevelopment. Golden Group claim that 25,700 additional full time equivalent jobs will be created and $10 billion will be injected into the economy, based on figures from MacroPlan Dimasi. Premier Mark McGowan said the project was important for jobs and to reduce urban sprawl. “This is another sign of the West Australian economy improving and turning around,” he said.